Babies develop and grow faster and healthier if they get enough sleep, so it makes sense to invest in a high-quality baby mattress that will ensure uninterrupted slumber. Organic baby mattresses are among the best things you can buy for your nursery. Reputable manufacturers use fine natural Sri Lankan or Malaysian Dunlop latex for their organic baby mattresses. They make sure that the firmness is at 95-D, which is extra firm for your baby’s delicate back. An extra firm organic baby mattress is made as simple as possible, using pure wool organic cotton ticking, and pure wool. The latex core is made of natural Sri Lankan Dunlop rubber. Organic Eco Wool from Oregon and California Organic cotton fabric surrounds the core. The best organic baby mattresses are made by Amish craftsmen. 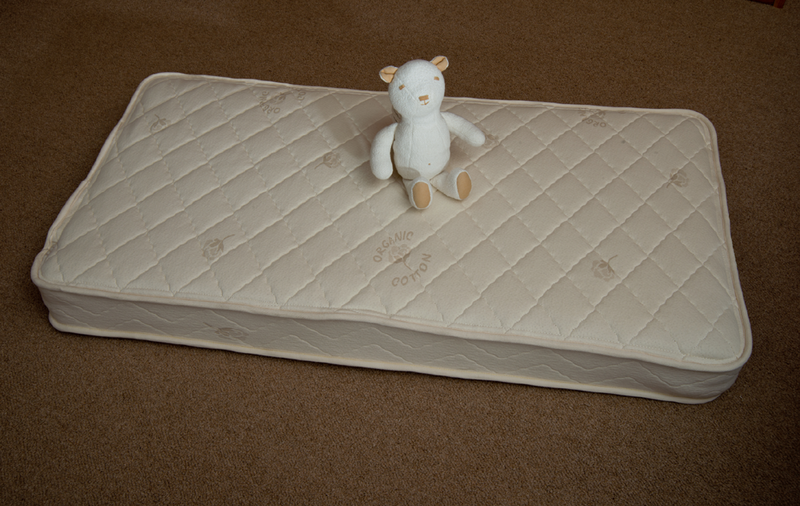 When looking for an organic baby mattress, you need to make sure that it is made of 100 percent organic materials. This means that all materials should have been grown naturally or organically without any pesticides or chemicals. 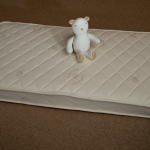 High-quality organic baby mattresses do not have polyurethane fabric, so you can be confident that your baby is sleeping in a healthier environment. Eco Wool is naturally fire retardant, so you do not have to worry about toxic fire retardants off-gassing and harming your baby’s health. Organic cotton fabric supports the layers of organic cotton padding, and the materials for these are organically grown and woven in the US. Reputable manufacturers of organic baby mattresses use certified organic cottons that have met the USDA/National Organic Program’s standards. The mattress is sewn shut, so it can easily be flipped. Get a wool mattress pad to protect it.